While some states allow raw milk sales and others don’t, the seemingly arbitrary prohibition on interstate raw milk sales has been contentious for some time. In an episode of what looks surprisingly much like good government, American legislators are actually getting together across party lines to act in the interests of people rather than corporations. Good for them. And good for America. We could do with more of that. “A left-right libertarian coalition led by U.S. Rep. Thomas Massie (R-KY) is sponsoring two bills in Congress to permit the interstate sales of raw milk. Massie says the bills are but the first in a series of “food freedom” measures he plans to introduce. One would overturn the interstate ban on raw milk, while the other would permit interstate shipment of raw milk only if two states already permitted intrastate sale. More on Food Safety News. “Today, Rep. Thomas Massie (KY-4) introduced two new bills, the “Milk Freedom Act of 2014,” H.R. 4307, and the “Interstate Milk Freedom Act of 2014,” H.R. 4308, with a bipartisan coalition of 20 lawmakers. In his press release announcing the new legislation, Rep. Massie indicated these were the first in a planned series of Food Freedom legislation aimed at improving consumer choice and protecting local farmers. 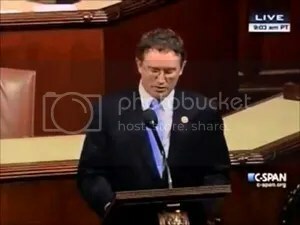 Tagged as congress, interstate, legal, raw milk, Thomas Massie, U.S. Doing the will of the people, wow that’s a great idea, our government should consider this novel way to gouvern here in Canada!